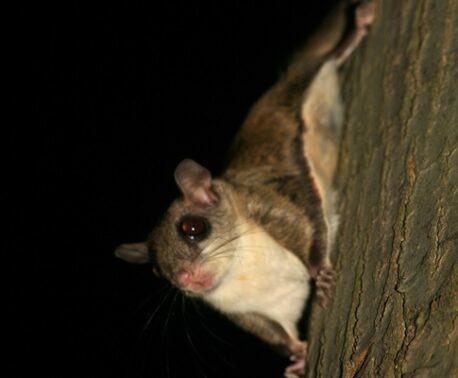 The World Land Trust has posted an unusual photograph on its website today. 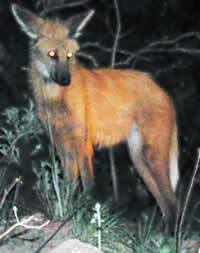 It is of a Maned Wolf Chrysocyon brachyurus, which was photographed at night by Dr Nigel Simpson in Brazil. Dr Simpson who represents the World Land Trust’s Ecuadorian Partner organisation, was on a bird-watching visit to Brazil, with Dr Robert Ridgely, who wrote the recently published Birds of Ecuador. They were fortunate in their sighting of one of the rarer members of the dog family. The Maned Wolf is found in South America from Bolivia to Brazil and northern Argentina, and usually lives in relatively open habitats, including grasslands and swamps. Rather like a fox in colouring, it is very long-legged, and this probably helps it in stalking prey in long grass. The prey includes lizards, small mammals, insects and birds, as well as fruit and other vegetable matter. The habitat of the Maned Wolf is increasingly fragmented, by the spread of agriculture, and in common with most other carnivores it is often persecuted by farmers. As well as being hunted, it also often suffers from a hereditary disease, which is not only fairly common in captivity, but also occurs in the wild. 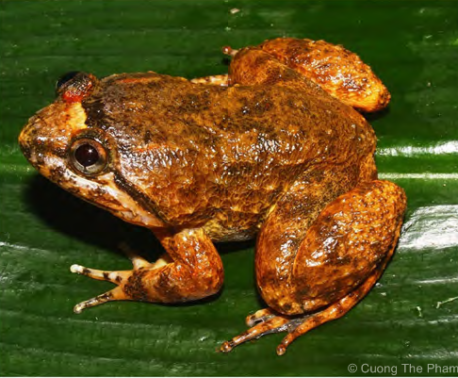 At the end of the 19th century it is believed that its range expanded – this was probably as a result of changes in land use, and forest clearance, but this spread has now been reversed, and it is increasingly confined to National Parks and protected areas. Help protect the habitats of threatened wildlife such as the Maned Wolf – support the World Land Trust.